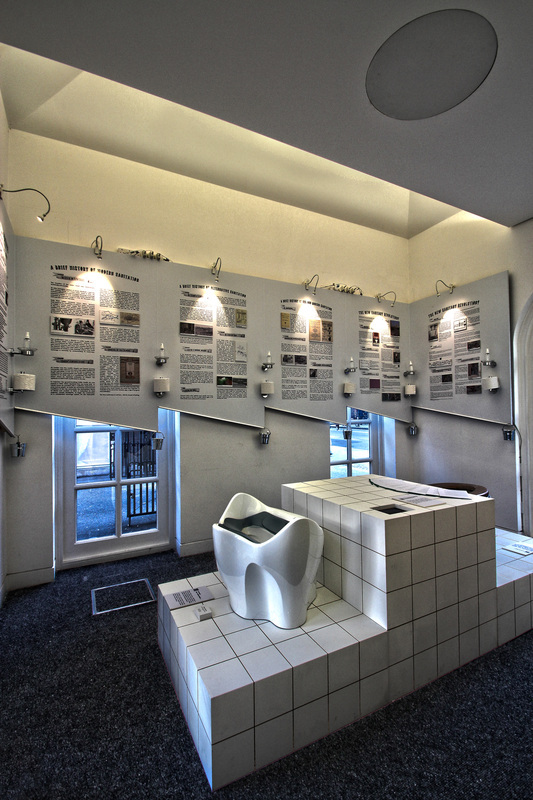 As a Research Assistant for the UCLoo Festival in 2013, as well as the New Loos for London? event of 2012 , I was responsible for the assisting with the organization of the event, the production of several pieces of promotional material including videos and the I led the UCLoo Festival's Make-a-Thon. 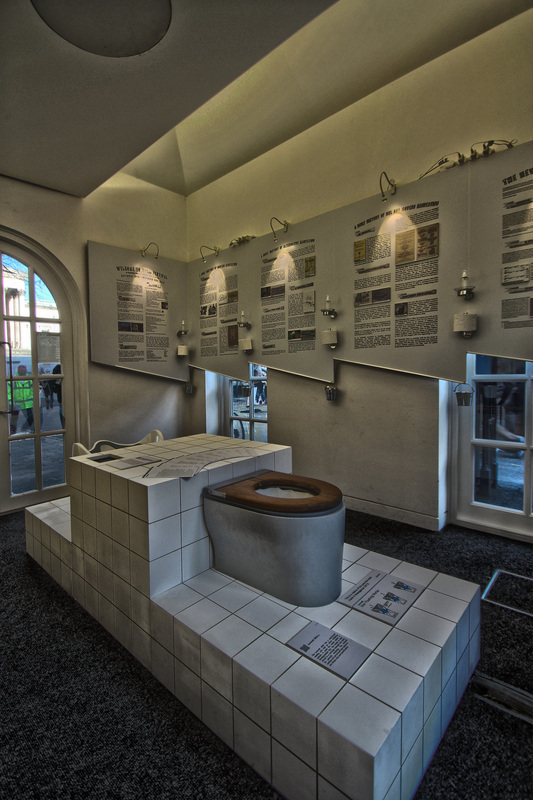 The UCLoo Festival featured a wide range of events such as an exhibition, loo tours, a trip to the Victorian Crossness Pumping Station, lectures, and a working ecotoilet installed in the Hertiage-listed North Observatory of the UCL Quadrangle on Gower Street. 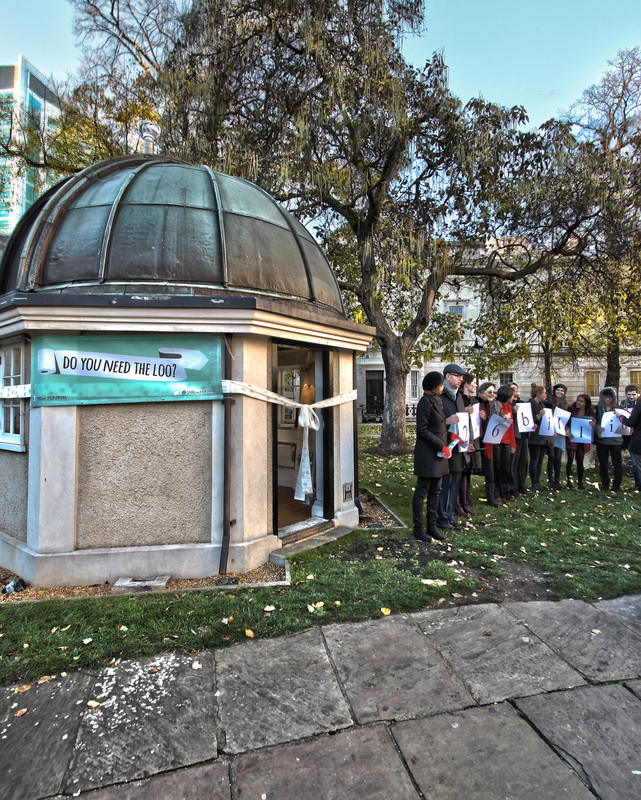 On the opening day of the UCLoo Festival, students, staff and members of the public 'queued for the loo' to highlight the fact that more than 2.6 billion people around the world don't have access to proper toilets. 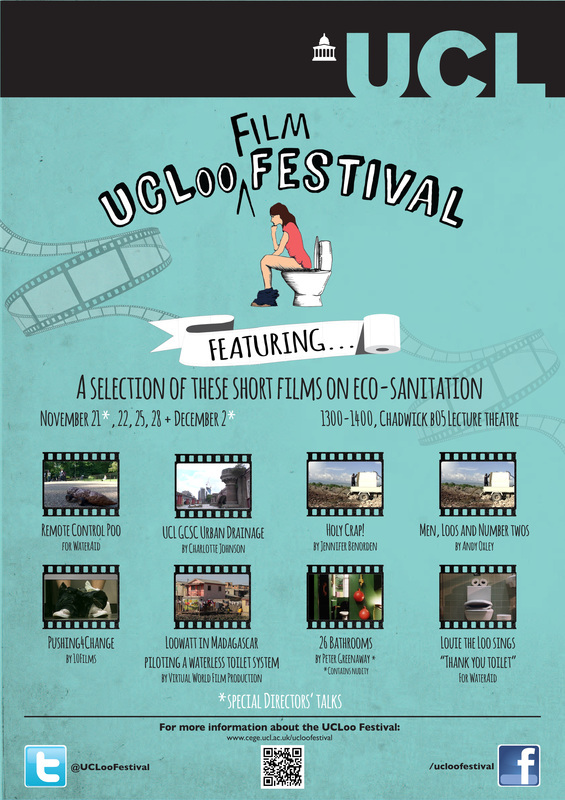 The UCLoo Film Festival presented a selection of short films on eco-sanitation. The short above was created during the 2012 event New Loos for London? that explored the viability of dry sanitation in London. In an age of water, energy and fertilizer scarcity, dry sanitation offers improved nutrient recovery and fewer resources to transport and treat waste than waterborne systems. However, this form of sanitation is only ever considered in contexts where there is no waterborne sanitation. Given the limited amount of freshwater resources, growing populations and the aging infrastructure of waterborne systems, it seemed timely to consider how dry sanitation might be used to retrofit existing urban infrastructure. The video above addressed the challenge in a humorous way.